Hand made in the USA and sold direct to the customer. "If you haven't heard a Zen Triode Amplifier... you're in for a really pleasant experience! It floats music in 3D space like very few amplifiers can. Designed and built in the USA it comes with no disappointments." 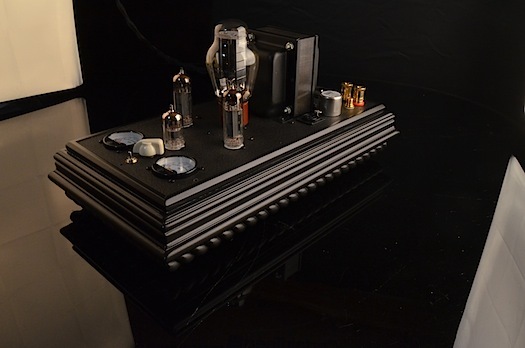 This is the highly tweaked version of our original Zen Triode amplifier, originally released in 1998. Since that time it has developed an almost cult following among serious audiophiles. If you've done your homework, you already know the Zen Triode IS the best value in 2 watt amplifiers anywhere. It is preferred over directly heated triodes for having more speed, better micro detail, better bass, and most of all better neutrality. It's sound stage and 3D imaging are as good as either one can get. It sets a benchmark that's immune to price points and gold plating. Now for the first time ever it has the two things asked for most: Meters and optional balanced XLR inputs! 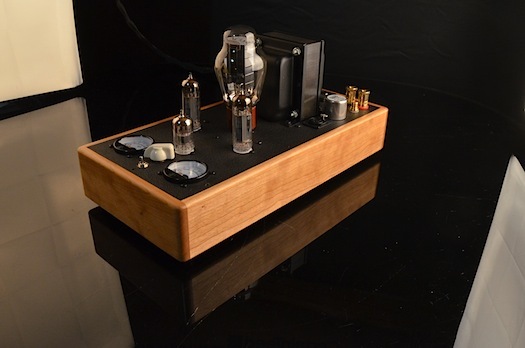 100% Tube Amp with no solid state parts or circuit boards. Single ended triode design. 2 watt x 2 Stereo amplifier bridgeable into mono, 6 watt x 1. Can handle speakers with dips as low as 1 ohm with no loss of bass control. Features a signal path with only 1 capacitor and 2 resistors. Uses 6P15P-EB or EL84 output tubes driven by a single 6N1P-EB or 6922 input stage. Tube rectified using 5U4G or equivalents. 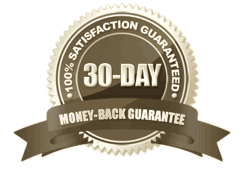 Hand Built in the USA by skilled and well paid artisans, 30 day in home trial, lifetime warranty. "For those who adhere to the 'first-watt' theory of HiFi, here’s a bonus: the Decware Zen amplifier gives you two. Yep, two watts per channel single-ended triode. i must admit they are pretty big watts, as i had no problem driving my reference GamuT s-7’s to a more than reasonable level. (The s-7’s have a rated sensitivity of 89db at 1 watt and a retail price of $42k per pair.)" "What really sets the Zen apart from all the moderately priced tube amplification i’ve heard is its incredibly lifelike tonality and bass control." 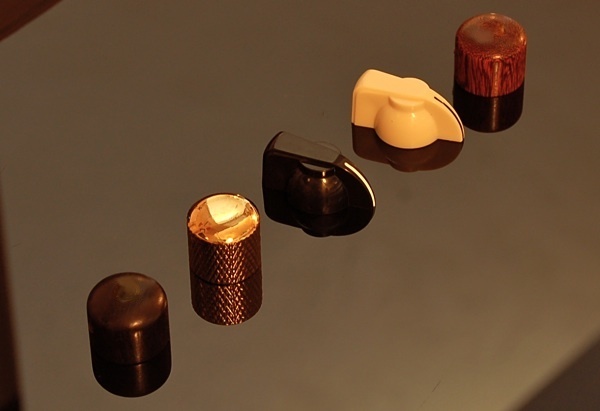 This amplifier is available with different wood bases shown below. NOTE: All options can be configured from within the shopping cart. The output channels are self biasing so meters have been provided to show you if you tubes match. They also show you how strong your tubes are, as well as when or if the amp is clipping. WHY DOES THIS AMP SOUND SO MUCH BETTER? Well, it's the real deal... It's not mass produced. 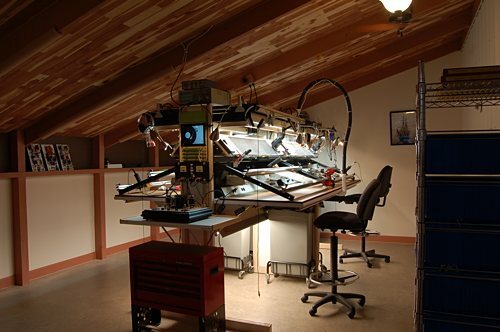 It's hand-built, point-to-point wired using only part leads to limit the solder nodes. Only 2 resistors and 1 capacitor are in the signal path and there is a Silver ground buss. It uses US Made proprietary output and power transformers in a high mass steel chassis of the highest quality - all built by skilled (and well paid) artists here at Decware. 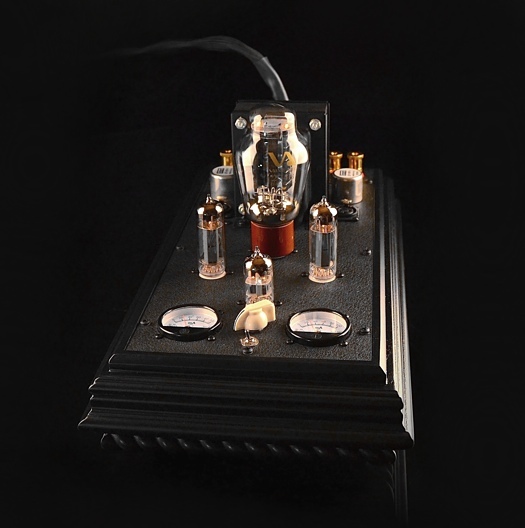 The SV83 output tubes are among the most linear in the world when triode wired. * We think that this tube is the most neutral sounding. And then there is owner of Decware, Steve Deckert's flawless Zen design that separates this amp from other high quality boutique competitors. 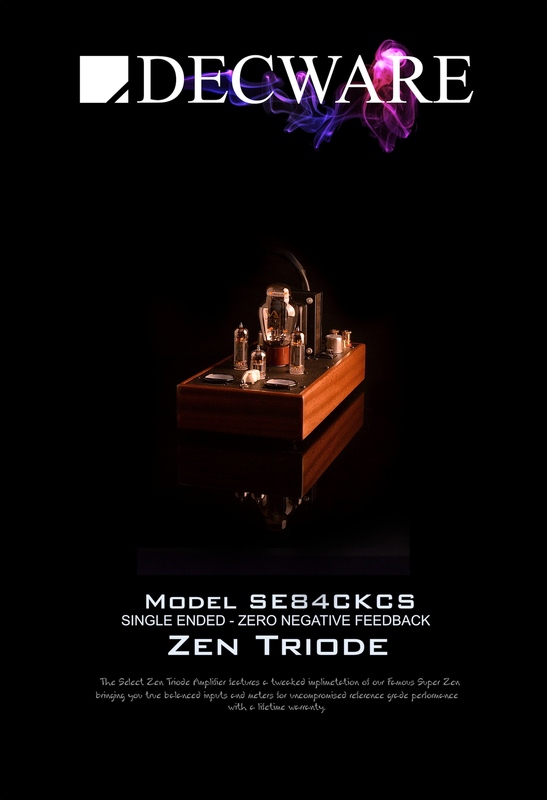 There's been so many 300B and 2A3 amplifier owners that have switched to the Zen Triode that we've lost count. We bring that up because most people who haven't heard one can't wrap their head around the concept that an amplifier at this price could sound this good - but the Zen amp does. Top Quality Gold / Teflon input jacks and fused IEC connectors are provided for use with hi-end cables. The amp is self biasing so you never need to adjust the bias and the bias will never drift out of adjustment. We ship it with the long life military grade version of the SV83 called a 6P15P-EV featuring Gold plated Grids from Russia. These amps are built in the dedicated assembly space shown above. Worried about 2 watts being enough power? Bridge the amps into mono and quadruple your power! 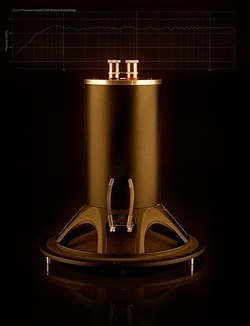 The SE84UFO amplifiers employ a unique floating output transformer scheme where the negative speaker wire is not tied to chassis ground. That means when the amp is bridged, both channels may either be series or parallel wired. In series, both channels work as one and transparency is preserved. So with no sonic drawbacks to running the amps in mono, you can expect 6 dB of additional power rather then the expected 3dB. This is thanks to the power increase the amp has when it sees half the speaker load from being series bridged. We have successfully driven hundreds of different loudspeakers ranging in efficiency from 90 to 100dB 1w/1m. On 90dB speakers it works nicely in smaller rooms or for late night out of body experiences. 94 to 96 dB speakers are almost ideal in that they let you play beyond a normal listening level and preserving the dynamic headroom. When these amplifiers were first released in 1997 there were a minimal number of "high efficiency" speakers to choose from. Today that is no longer the case - they are everywhere. We also offer several different types of loudspeakers that will work with this amp. If you own speakers that you love and are afraid this may not drive them understand two things: A) It will drive them louder then you're expecting and B) you can bridge these amps into mono blocks. Because of the power increase into lower ohms, you will net 6dB of additional power. Same thing as doubling your power... twice. The SuperZen SE84UFO2 now features a switch to go between 4 and 8 ohm speakers as a result of the UFO high bandwidth transformers now standard on every Zen Triode Amplifier. This amp is shipped with premium quality N.O.S. 6P15P-EV output tubes with gold grids rated at 5000 hours. These Russian military spec tubes are the top grade of what we came to know in this country as the SV83. You can also use EL84's without adjustments of any kind. You'll find the 6P15P-EV to be unparalleled in speed and detail - in part because it is a video tube with much wider bandwidth then a normal audio tube. We think these are the best sounding most transparent tubes available today. The EL84 (6BQ5) is a bit warmer sounding giving the amp a different signature by just switching output tubes. The rectifier location is compatible with 5U4G, 5AR4, 5Y3GT, and some 274B. Many owners of this amp like using the 274B however not all 274B tubes are completely compatible, so we ship the amp with one that we know IS. Each rectifier change will also make audible differences in the sound and performance of the amplifier. This amplifier has been used by cable manufacturers as a tool for evaluating the differences in wire and cable designs. 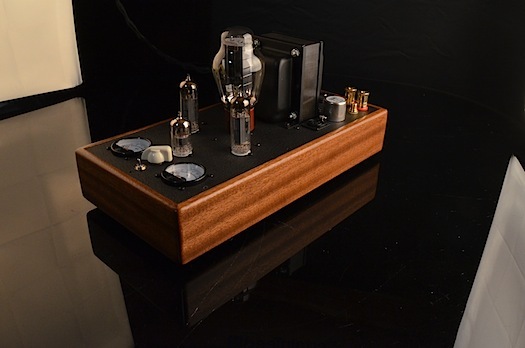 This amplifier is hand built in the USA by DECWARE / High Fidelity Engineering Co. It comes with a lifetime warranty to the original owner. If you purchase one second hand and ever have questions or technical problems we WILL be happy to check it out for you and service it if needed for a very reasonable rate. We also have a support forum with many people who own this amplifier who's experiences you may benefit from. 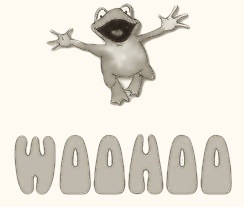 You may read reviews on this amp going back 11 years. This amplifier requires no adjustments or maintenance other than changing tubes every couple years. It is a self biasing design and self balancing meaning even unmatched tubes become matched when installed. 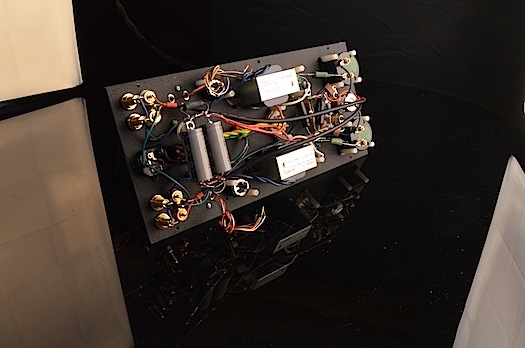 The SV83 (6P15P-EV) or EL84 output tubes wired in triode were chosen over 300B, 2A3, 45, and other triodes for having the best sound and imaging. 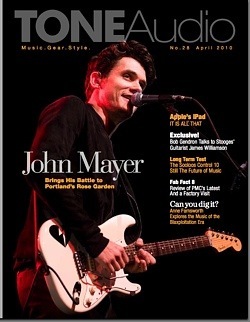 for this amplifier (pdf format). To celebrate our 20th year making the Zen Triode Amplifiers, we are now offering Ultra Fidelity Output silver leaded high interleave transformer with response that is +/- 1dB out to 80kHz! so you can hear one in your own room! 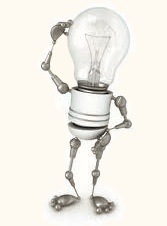 Available in 120 or 240 volts.